You are here: Home / Blog / Earth science / What is Pictured? Hoarfrost or Rime Ice? 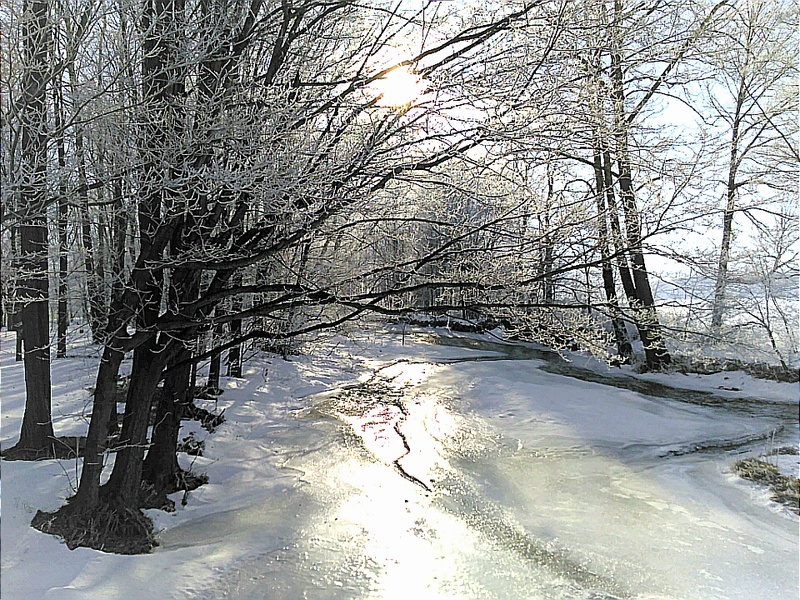 Hoarfrost (also known as radiation frost) forms when the water in the air freezes when it contacts cold objects. The water exists as a gas in the air and as it freezes it changes from a gas to a solid (also known as desublimation). 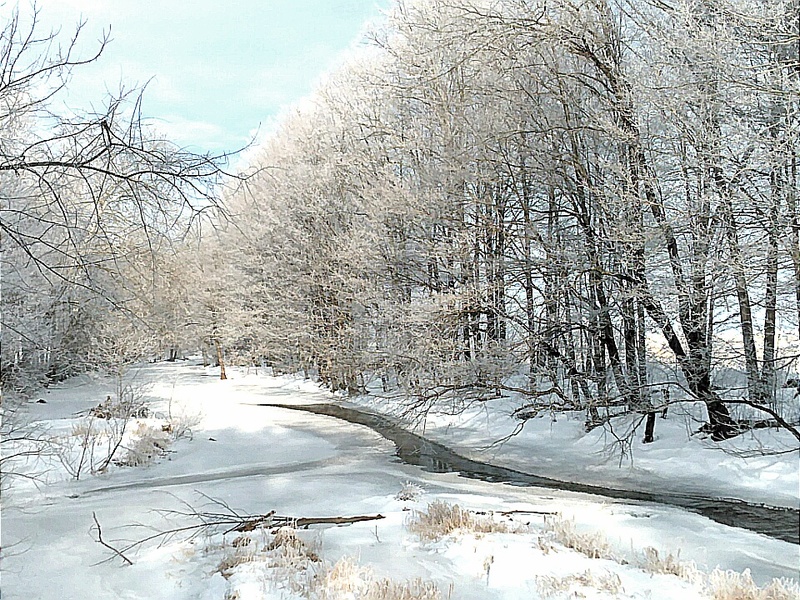 Rime ice is formed when liquid water in the air freezes upon contact with other objects. Usually this is in the form of fog and is the water changing from a liquid to a solid. The water in air needs to be warmer than 32○F and usually one cannot clearly see the crystalline structure. Now that you have a little background of the differences between hoarfrost and rime ice, I will provide the conditions surrounding the formation of the crystals pictured. Take your best guess if these are hoarfrost or rime ice! During the day before these crystals formed, the temperature reached 35○F. That night and early the next morning temperatures fell to -1○F. There was hardly any wind (2 – 5 mph). No fog was observed. Are you ready to take your best guess at which formation this is? The crystals are most likely hoarfrost. Water that was in the air as a gas cooled so quickly that it skipped condensing into a liquid and froze directly from the air (desublimation). 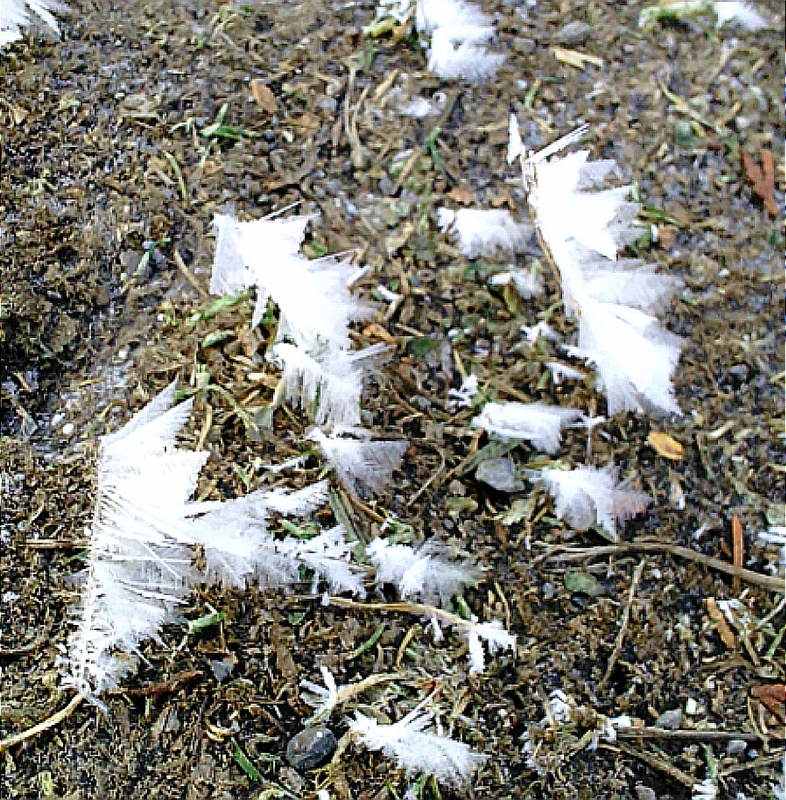 This created the appearance that the ice crystals grew and fanned outwardly. In addition, no fog was observed and the temperature was too cold for fog to be present which means that the water that formed the crystals needed to be in a gaseous state before freezing. This is my best guess but I would love to hear your thoughts / ideas! Please comment!